Streamline your entire workflow—and get back to what matters most. Have your practice at your fingertips on the web, iPhone, and iPad. Seamlessly integrate scheduling, clinical workflow, patient engagement, and billing. Free your time to deliver truly innovative care. Online scheduling, self check-in, automated appointment reminders, a HIPAA-compliant patient portal, and more. Integrated billing and an experienced RCM team mean fewer denials and cleaner claims. Leverage existing partner medical apps and services or build your own with our simple, secure APIs. Faster Revenue. And More Of It. Earn more revenue — and lower your labor costs — with our complete, fully-tailored RCM service. Our team of dedicated billing, coding, and compliance experts are here to help manage the expenses and operations of your practice. Improve profitability and focus more time on patient care. DrChrono built the first iPad EHR and is an official Apple Mobility Partner for healthcare. Full clinical documentation right on your iPhone or iPad. 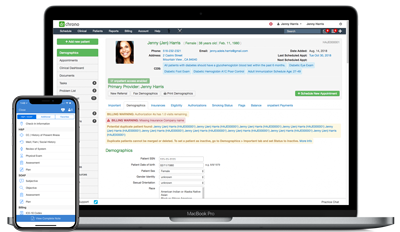 Customized workflows that work for your practice. 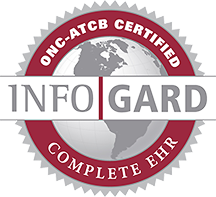 Fully integrated EHR and medical billing. Appointment scheduling, patient intake, and messaging. Outsourced coding and billing to maximize payments. Countless options to add unique, custom functionality. First iPad and iPhone EHR app to be launched on the App Store. #1 mobile EHR as voted by Black Book 7 years running (2013-2019). First mobile and cloud-based ambulatory EHR / EMR to be an Apple Mobility Partner. cared for by tens of thousands of physicians using DrChrono. Direct Ortho Care (DOC) raised the bar in digitizing their workflow and EHR. With DrChrono EHR DOC has been able to expand using the scalable and flexible software to meet their needs. Zumedic provides care at 15 facilities with 10 physicians and advanced practitioners with a growth trajectory of 40% growth over the next 12 months. DrChrono's mobile EHR has equipped them to provide the best care possible, at the same time providing tools to decrease time spent charting between visits and be able to focus on patient care. Dr. Nadeem Vaidya from Retina OC, has used technology to run his ophthalmology practice. Using DrChrono he has been able to thrive while maintaining full ownership and insights from patient check-in to payment disbursement.